Leaky gut is often ignored, or not well understood by modern medical practitioners. Known by some doctors as “increased intestinal permeability,” (I will use intestinal permeability interchangeably with leaky gut), the condition begins in the small intestine, where nutrients from food are absorbed by microscopic pores that makeup the intestinal lining. These pores regulate what enters the bloodstream, however, leaky gut refers to the gaps in intestinal lining when the pores widen and food particles and toxins that should remain in the small intestine enter the bloodstream through the openings. Once these materials are in the bloodstream, the immune system identifies them as invaders, and attacks them, along with healthy cells. This latter occurrence is how autoimmune diseases and allergies are hypothesized to develop. Stress: Chronic stress affects gut health. The Journal of Physiology and Pharmacology published a report in 2011 that reviewed how brain-gut interactions are altered by stress, including an increase in intestinal permeability. Constipation: When chronically backed up, toxins in stools can irritate intestinal lining, leading to inflammation and pores opening up. Poor flora: Known as intestinal flora; beneficial bacteria; and probiotics, these good bacteria maintain a healthy digestive system (as well as immune system, and possibly emotional wellbeing, as more and more studies are determining). When harmful bacteria dominate the small intestines, this causes inflammation and irritation in the lining, which causes the pores to widen. Antibiotics: Long-term or frequent use of antibiotics can be harmful because they kill all bacteria, including beneficial kinds. If probiotics are not taken to restore balance to the gut, bad bacteria will take over and cause inflammation. NSAIDS: Advil, Ibuprofen, and other pain killers may be taken to reduce inflammation in the body, however, they are difficult to break down and can irritate the small intestines. Occasional use of NSAIDS is typically harmless, but long term or excessive use increases chances. Alcohol abuse: In excessive amounts, alcohol heightens suseptability for intestinal permeability. It is a toxin, and can inhibit hormones in the gut that moderate inflammation, as well as hinder necessary nutrients from being absorbed into the bloodstream. Grains, legumes, and other foods: Paleo diet followers argue that humans were not meant to consume grains, and that these along with grain-like substances irritate the digestive tract. Some grain-like substances, such as quinoa, are said to contain detergents in their outer shell that may damage gut lining. While more scientific evidence is needed, some personal accounts have found that removing grains from their diet helped improve their health. Does quinoa cause leaky gut? Often mistaken for a grain, quinoa is actually a seed. While I could not find scientific evidence, some doctors and health practitioners–particularly Paeleo followers–agree that quinoa has what’s known as ‘anti-nutrients,’ which are detergent-like qualities that may have damaging effects on people when consumed regularly in large portions. My ultimate answer: Why risk it? If you eat quinoa, do so sparingly and in small amounts. Can leaky gut cause candida? No, however, excessive candida can cause leaky gut. Even when beginning a leaky gut diet program, it is important to test for candida overgrowth, as this causes inflammation in the gut which prevents healing no matter how healthy a diet is. While recent studies have suggested the GI tract playing an important role in autism, there are no direct links. A recent study published in the Public Library of Science (PLOS ONE) found a lack of beneficial bacteria in those diagnosed with autism. Intestinal permeability has also been linked to poor amounts of beneficial bacteria. Can it cause adrenal fatigue? While leaky gut may lead to other health conditions, it is also often a consequence of a stressful lifestyle, and can go hand in hand with adrenal fatigue against stress: the actual culprit. Can it cause non-stop yawning? Not directly, however chronic fatigue (especially after eating) is a result, and may cause excessive yawning. There is another occurrence, anxiety yawning, that happens when under duress or experiencing adrenal fatigue. A study published in 2014 by Neuroscience Letters found that emotional stress may induce yawning. Since leaky gut and stress are related, note when your yawns occur and what was eating/felt shortly before it began. Constipation may be a precursor, and so the symptoms could be hand in hand. See causes of leaky gut in the introduction for more information. Can I experience weight gain or weight loss? Obesity may be linked to intestinal flora and wall lining, as discussed in a Brazilian study published in 2012 by Nutrition Research. Visceral fat, which is not readily seen as it rests under abdominal muscles and around organs, can lead to fatty liver, heart disease, and other health risks. Research led by Anders Gummesson in Gothenburg, Sweden, found visceral fat more excessive in women with intestinal permeability. More research on the relationship between the gut and weight is needed, however eating wholesome foods and regular exercise can help cut down on fat. If weight gain or loss is sudden and uncontrollable, have your thyroid checked, as leaky gut may lead to an imbalance of thyroid hormones. Food particles escaping into the bloodstream because of widened gaps in intestinal lining is attacked by the immune system, which can lead to allergies. One symptoms of allergies is hives, so while intestinal permeability does not directly lead to allergic reactions, the immune system’s response to foreign particles in the blood can. Can one experience hair loss? Hair loss may be a symptom, however more scientific evidence is needed to determine the correlation. Hair loss may also signify stress, thyroid imbalance, or other symptoms and causes related to intestinal permeability. Are food allergies associated with it? Yes. See introduction for an explanation. Can leaky gut also cause fibromyalgia? Yes. The small intestinal lining is inflamed, and when your immune system is on overdrive fighting food particles in the body, this can lead to more inflammation, fatigue, and pain. Maybe. While some holistic health practitioners have had success with treating eczema by improving the gut and diet, I have not found any medical research evaluating the link. However, changing your eating habits for eczema correlates to the same diet as healing leaky gut, and so there should be no problem trying to treat both and seeing if conditions improve for the long-term. Can it turn into depression? Outside the brain, the digestive system has the highest nerve tissue concentration, and so any health issues may worsen already present depression. Molecular Neurobiology published a study in 2015 that concluded depression and inflammation are often related, and so inflammation caused by intestinal permeability may very well correlate with mood. Just as obesity and visceral fat may be linked to leaky gut syndrome, foreign particles in the bloodstream can affect blood sugar, cholesterol, and other bodily conditions that put individuals at risk for diabetes. In 2011, Obesity Review published research showing that strengthening the intestinal lining offered therapeutic opportunities for both type 1 and 2 diabetes. Any autoimmune disorder, including celiac, may result from intestinal permeability. See introduction for how the immune system identifies food particles in the bloodstream as ‘dangerous.’ Dr. Alessio Fasano at University of Maryland published a review stating that repairing the intestinal barrier function was critical to treat and prevent autoimmune diseases. Is this problem caused by me having parasites inside me? Parasites may have similar symptoms as leaky gut, and may lead to inflammation in the small intestinal lining, which could then cause the syndrome. The gut cannot heal without first ridding the body of parasites. Does leaky gut cause vomiting? Insignificant evidence links the syndrome to vomiting, however some individuals who may have leaky gut have reported this symptom. Can it cause thyroid problems? Indirectly, yes. The gut makes up 70% of our immune system, inflammation plus food particles getting into the bloodstream and being attacked can lower thyroid hormones as the body is working overtime, and attacking healthy cells. Is thrush caused by it? Thrush is caused by excessive candida, which may cause intestinal permeability in severe cases where yeast roots and grows itself to intestinal lining, which allows damaging microorganisms and molecules to pass into the bloodstream. 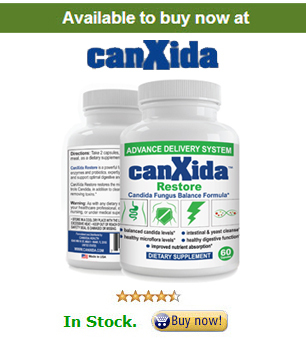 The candida diet is similar to that of leaky gut, as the gut cannot heal itself before candida levels are in balance. Can it cause water retention? Some individuals report water retention as a symptom. Retention can be caused by inflammation, so reducing sodium in your diet and focusing on inflammatory response may relieve the issue. The gut affects nutrient absorption, such as K2, which can affect bone health. Absorbing nutrients can be problematic with the syndrome, and resulting issues such as peripheral neuropathy are possible. Taking a multivitamin or extra B12 can often alleviate neuropathy symptoms. Leaky gut is known to be the root cause for autoimmune diseases. See answer for ‘Can it cause celiac?’ for further information. Can it cause swollen lymph nodes? Yes: swollen lymph nodes are a result of your immune system fighting off debris in the bloodstream perceived as dangerous. Since intestinal permeability affects large, unwanted particles from entering into the stream, the immune system attacks, which can swell lymph nodes. Can it cause joint pain? Yes: inflammation in the body is a common symptom for joint pain. Yes! One of the first problems with leaky gut is inflammation of the small intestinal lining which expands permeability of the cell walls and allows particles to enter the bloodstream. When the immune system fights foreign debris, it can attack healthy cells, thus leading to further inflammation and pain. If the itching is related to inflammation, then leaky gut may be the culprit. Some individuals find that taking probiotics while they have intestinal permeability can cause itching, as the gut has trouble handling strains and billions of bacteria when inflamed and allowing particles to escape into the bloodstream. If this happens, either drop down to a low-dose simple formula of probiotics, or hold off on probiotics until diet and supplements can reduce inflammation and repair intestinal gaps. Yes, as this is an autoimmune disease. See explanation on thyroid problems. Stress and leaky gut are often connected, and as food particles enter the bloodstream, this causes stress on the body and immune system. Lifestyle stress, too, will affect blood pressure. Heartburn-related problems have been associated with intestinal permeability, as the syndrome can cause many forms of digestive stress. Scientific evidence is lacking for a conclusive answer. Gas is listed as a common cause from leaky gut, as nutrients are not properly absorbed. Does it cause gluten intolerance? One symptom is gluten intolerance, or celiac disease. See information in the introduction for allergic reactions for more information. Maybe, as intestinal permeability affects all digestive functions. GERD has been associated with fatty liver (which may also be a result of leaky gut), and other health conditions. Can it cause bad breath or body odor? Evidence of bad breath and body odor from leaky gut is inconclusive. The digestive system is connected directly to the mouth, and so intestinal odors can theoretically escape orally. For simple relief, many people use chlorophyll as an “intestinal deodorant.” While some websites claim body odor is a symptom either of intestinal permeability or the intestinal lining healing, no scientific evidence or hypothesis is offered.